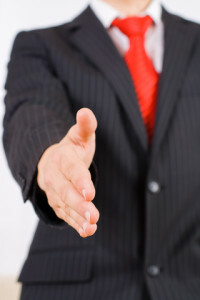 Getting a job interview is only one step in the long process to improving your employment status. When you interview, you are not only trying to impress your potential employers, but you are also trying to determine whether this job is one you want. Whether you are looking on your own or going through a recruitment agency, you should consider the tips below to help turn your job opportunities into something that is beneficial for both sides. Before you pursue any job opportunities, you should make sure you know what you are worth on the market. Consult with other professionals or with recruitment agencies to get a feel for where somebody with your skill set stands in the corporate structure. While you shouldn’t bring up salary during the first interview, knowing your place gives you a starting point for negotiations should your potential employer make an offer to you. All the job opportunities in the world won’t mean anything if you don’t know exactly what you want. You should have a clear vision of why you want the job, what your salary and benefit preferences are, and how a given opportunity fits in with your long-term goals. If you choose to use recruitment agencies as a resource, make sure you share your goals with them. They will do your best to make sure they focus on opportunities that fit your needs and goals. The job of an employer is to get the best candidate for a given position at the lowest possible compensation. It’s your job to make sure that you can stand up for yourself and make the most out of the job opportunities that come your way. Always be ready to negotiate for a better salary or benefits. If it doesn’t look like you’ll get it, be ready to pitch the idea of a performance review after the first few months on the job to see if the company will re-evaluate your compensation. Make sure you do this before accepting a position, because you lose bargaining power once you have been hired. Knowing when not to take a job opportunity that comes your way is sometimes just as important as acing the interview. Even in a rough job market, it is almost always better to wait for a situation that is right for you rather than take a job offer that you don’t want. The tips above represent the best advice available from experts in the field. If you keep these things in mind, you will have a better chance not only of finding a job, but also of finding one that fits exactly what you personally are looking for. If you are looking for jobs in Banbury, Oxfordshire or fancy a change in career, then check our current job vacancies here.